Access to real-time fleet information on a 24/7 basis. 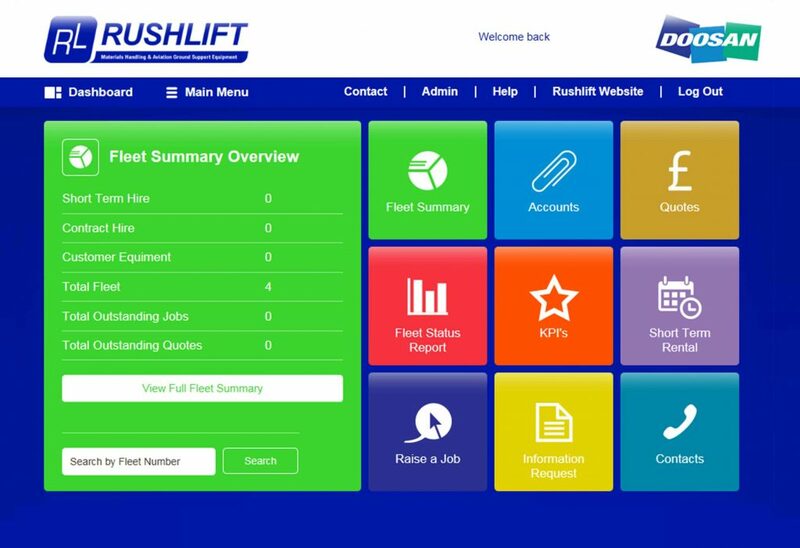 Doosan’s wholly owned subsidiary Rushlift, is launching a new Fleet Management System (FMS). Originally developed in 2005, the latest revision of the website allows all customers access to real-time fleet information on a 24/7 basis. This ensures customers are optimising their materials handling equipment. Through Doosan Rushlift’s IT team at the Northampton premises, the FMS website has been developed in-house allowing us to maintain and update as and when required, ensuring that customers are always kept up-to-date with the latest FMS functionality and website enhancements.